Wilder Mind the the new album by Mumford and Sons was released 4 May 2015. Wilder Mind is the third studio album by British folk rock band Mumford & Sons. The Origins of Mumford and Sons Saw band members Ben Lovett and Marcus Mumford performing on pavements outside Gigs, having already been working on songs together from their school days. However these songs didn’t realise their full potential until they were joined by Winston Marshall (armed with a banjo and dobro), and Ted Dwane (double bass, but with a penchant for being a multi-instrumental marvel), who gave the songs new arrangements, and injected them with a real ‘band’ dynamic. Within a few months, Mumford & Sons released their eponymously named debut EP,which featured the first, self-produced recordings of ‘Roll Away Your Stone’, ‘Awake My Soul’, and ‘White Blank Page. 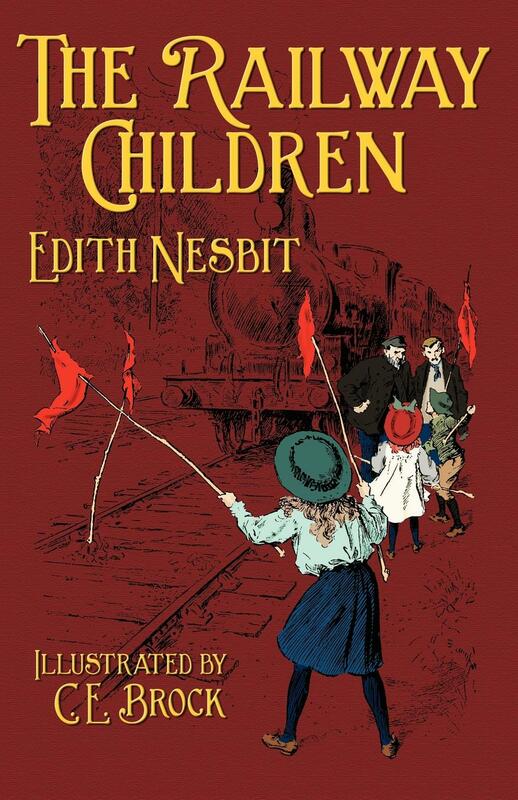 Among Nesbit’s best-known books are The Story of the Treasure Seekers (1898) and The Railway Children. This concerns a family who move to “Three Chimneys”, a house near the railway, after the father, who works at the Foreign office, is imprisoned after being falsely accused of spying. The children befriend an Old Gentleman who regularly takes the 9:15 train near their home; he is eventually able to help prove their father’s innocence, and the family is reunited. The family take care of a Russian exile, Mr Szczepansky, who came to England looking for his family (later located) and Jim, the grandson of the Old Gentleman, who suffers a broken leg in a tunnel.The theme of an innocent man being falsely imprisoned for espionage and finally vindicated might have been influenced by the Dreyfus Affair, which was a prominent worldwide news item a few years before the book was written. And the Russian exile, persecuted by the Tsars for writing “a beautiful book about poor people and how to help them” and subsequently helped by the children, was most likely an amalgam of the real-life dissidents Sergius Stepniak and Peter Kropotkin who were both friends of the author. The Railway Children was also adapted into 1970 British drama film based on the novel byE. Nesbit. The film was directed by Lionel Jeffries, and stars Dinah Sheridan, Jenny Agutter (who had earlier featured in the successful BBC’s 1968 dramatisation of the novel), Sally Thomsett and Bernard Cribbins in leading roles. The film was released to cinemas in the United Kingdom on 21 December 1970.The film rights were bought by Lionel Jeffries. It was his directorial debut, and he was also responsible for writing the screenplay for the film. The Railway Children turned out to be a critical success, both at the time of its release and in later years. It has gone on to gain a place in several surveys of the greatest films ever made, including surveys conducted by the British Film Institute and Total Film magazine. Nesbitt also wrote The Wouldbegoods (1899), which recount stories about the Bastables, a middle class family that has fallen on relatively hard times. The Railway Children is also extremely well known. Her children’s writing also included numerous plays and collections of verse.She created an innovative body of work that combined realistic, contemporary children in real-world settings with magical objects – what would now be classed as contemporary fantasy – and adventures and sometimes travel to fantastic worlds. In doing so, she was a direct or indirect influence on many subsequent writers, including P. L. Travers (author of Mary Poppins), Edward Eager, Diana Wynne Jones and J. K. Rowling. 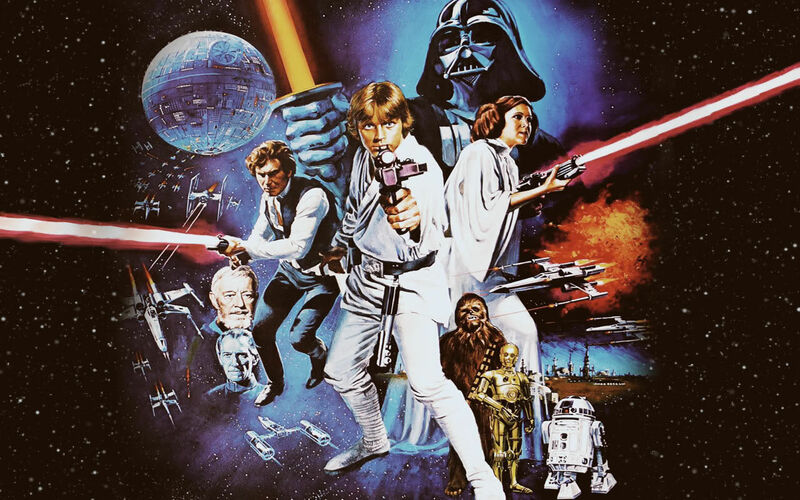 Many Star Wars fans celebrate Star Wars culture, books and honour the films annually on May 4th, which has been dubbed Star Wars Day because of the popularity of a common pun “May the fourth be with you”. If you wanted To prolong the celebrations you could also try Revenge of the 5ith or Revenge of the Si(x)th. The original quote is derived from the famous quote ‘May the Force be with you” and was first used in an advertisement placed in the London Evening News when Margaret Thatcher was elected Britain’s first female Prime Minister on May 4, 1979, and The Conservative political party placed an advertisement in The London Evening News which read “May the Fourth Be with You, Maggie. Congratulations.” The line was also recorded in the UK Parliament’s Hansard. Star Wars creator George Lucas was also asked to say the famous sentence “May the Force be with you” during a 2005 interview on German news Channel N24 and the nterpreter simultaneously interpreted the sentence into German as Am 4. Mai sind wir bei Ihnen (“On May 4 we are with you.”). This was captured by TV Total and aired on May 18, 2005. In 2011, the first organized celebration of Star Wars Day took place in Toronto, Ontario, Canada at the Toronto Underground Cinema. Produced by Sean Ward & Alice Quinn, festivities included an Original Trilogy Trivia Game Show; a costume contest with celebrity judges; and the web’s best tribute films, mash-ups, parodies, and remixes on the big screen. The second annual edition took place on Friday, May 4, 2012. In 2013, Disney’sHollywood Studios is celebrating the holiday with several Star Wars events and festivities.Honoring the day the humanoid robot Nao created a unique greeting to all Star Wars fans. The next movie in the saga: Star Wars episode VII The Force Awakens takes place approximately 30 years after the events of Return of the Jedi and is Due for release December 2015, and is directed by J.J.Abrahams. Carrie Fisher will once again reprise the role of Princess Leia Organa, which catapulted her to fame in the original Star Wars trilogy (Star Wars Episode IV: A New Hope, Episode V: The Empire Strikes Back and Episode VI: Return Of The Jedi) and will be appearing alongside Mark Hamill and Harrison Ford. Ian McDiarmid, who played Emperor Palpatine in both the prequel and original Star Wars series, also considered returning, but admits it could be tough to come back from his ignominious end at the finale of 1983’s Return of the Jedi. Although he was cloned in “Dark Empire” however I don’t know whether this story is considered “Canon”. The new film also stars Daisy Ridley, Adam Driver, John Boyega, Max von Sydow, Oscar Isaac, Andy Serkis and Domhnall Gleeson, with Anthony Daniels, Peter Mayhew, and Kenny Baker reprising roles from previous films.